It is Risk On Again ! Seems like the markets have rallied top the idea that the budget ceiling limit is sorted out…so it is business as usual…buy equities ! and probably a little bit of dollar as the relief trigger some short term enthusiasm….but you know my view on that one. 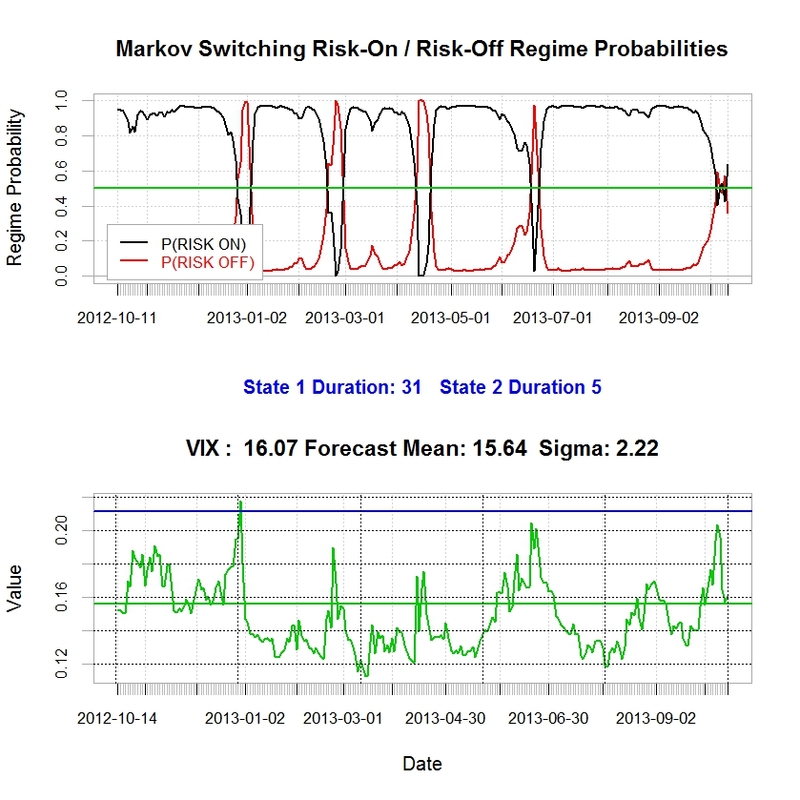 The ICI US mutual fund flow data definitely point out to some significant flows going into international equities, so the dollar weakness will come back….Anyhow I re-run my Regime Switching Markov model and there is definitely statistical agreement….Risk On sell the VIX ! Posted in Uncategorized on October 15, 2013 by Pierre.